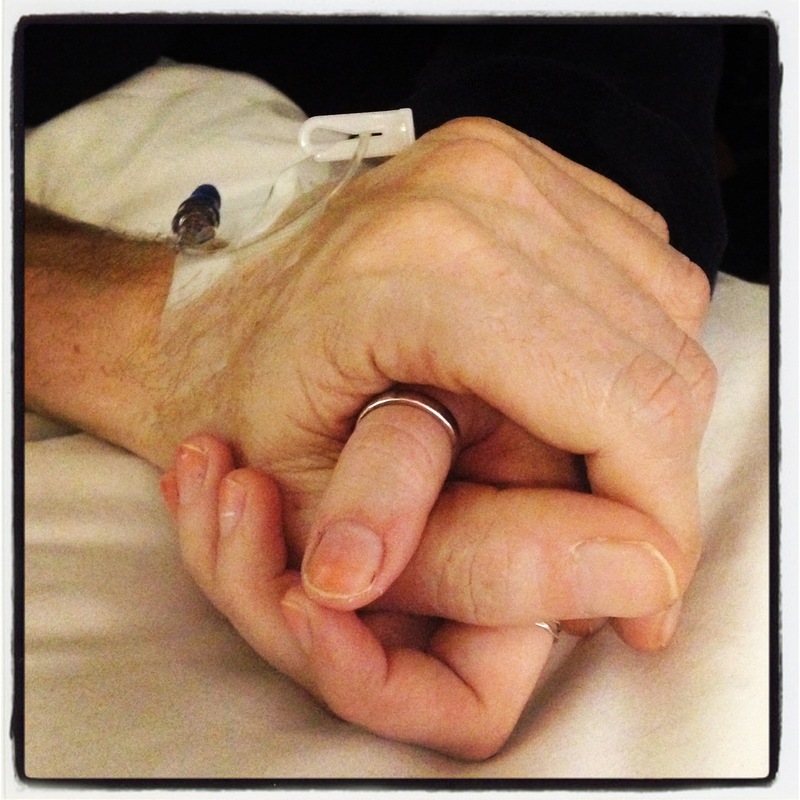 In an ICU unit in New York I held the hand of my former husband as he took his last breath. Even though we had been divorced for many years, his death ripped through my life like the aftershocks of a tsunami. When I returned to New Mexico I got to watch my dearest friend and the man I was in love with fall in love with another woman. He let me know he needed a break from me. The fragments of my fragile heart lost their tenuous hold on life as I knew it. The next day my dog Jethro ran away, scared off by thunder into the dark night and wild foothills of the desert landscape where I live. I wanted the world to stop spinning so I could get off. Losing Jethro tore the last thread of love from my life. I was isolated in a remote terrain I now called home. I cried myself to sleep at night believing Jethro was gone forever. I cried for my daughters who lost their dad on the threshold of young adulthood. I cried for the tragic death of a man whose life was woven into the fabric of my family for thirty years. I cried for my own dreams shattered in illusions. I cried for the wasted years as a fool in love. I cried for my failures as a wife, a mother, a lover and a friend. I cried for all the people I had let down, the mistakes I made. I cried in prayer for relief from unbearable pain. After three nights away, Jethro came home. He showed up on my doorstep while I was at work. A neighbor called to let me know she had let him in. Jethro’s return was a light in pervasive darkness. I looked straight at a miracle when I walked through the door that day. He made it home. Somehow the idea to write a story about Jethro’s runaway penetrated the barren emptiness of my psyche. A children’s story? I had no idea what happened to Jethro during those three nights he was gone. I would have to make it up, as if I knew anything about surviving in the desert. My first attempts were lame. But the idea persisted. It became a lifeline to the other side of grief, one that led me to the principal’s office at Abiquiu Elementary School. What better way to write a children’s story than through the unencumbered imagination of children? The idea of collaborating with the students to help finish the story was extended to their principal Ms. Sena, an Earth angel who received this lifeline wholeheartedly. Meeting the students was an opportunity to listen to their stories. Most of these children in rural Northern New Mexico have dogs in their life. Many had stories of their own dogs running away. Not all stories ended with the dogs return. They shared openly and innocently their stories of death and loss, joy and laughter. Jethro’s story lived in their stories. In writing Jethro’s story I wanted them to see the stories they would write are their own. Each child held a precious story that only they could tell. A tale that weaves itself into the tapestry of all tales of love lost and love returned through the uncontainable cycles of life. Jethro’s story is a mystery beyond my comprehension. Perhaps the mystery is not ours to comprehend. Perhaps the mystery is simply to be lived for miracles lay in the loss, the heartache, the despair and the loneliness. Our story, the one that only we can tell, is part of the great story. The immortal story of our shared humanity. Dogs are not a usual topic on my blog but my proud mama heart inspires me to write. I am simply in awe of the young woman my daughter is becoming as I witness her ever deepening compassion for animals. 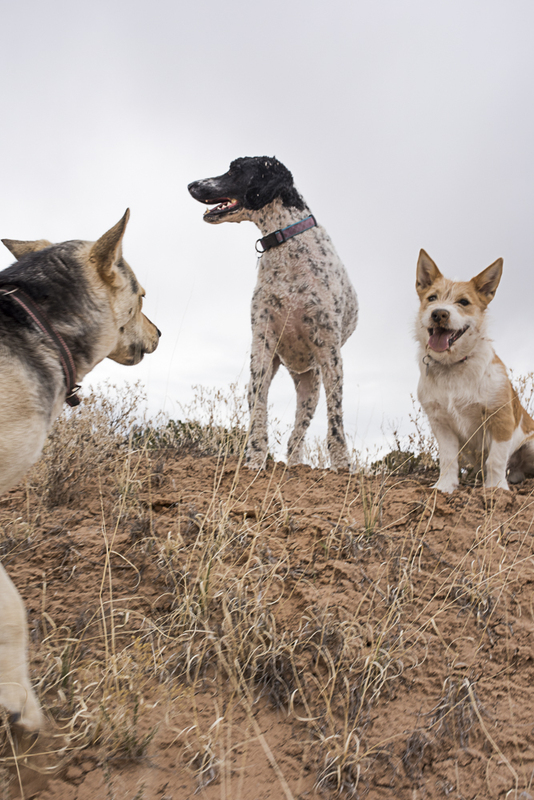 New Mexico is perhaps the dog friendliest state in the country. People bring their dogs everywhere here, even restaurants. Santa Fe dedicated 135 acres in the wild foothills so dogs could have a park. That kind of real estate in New York is worth millions. Not all dogs here lead a care free life though. Many dogs spend their days tied to three-foot chains or locked in crates. I pass them as I enter the homes of the patients I see in rural Northern New Mexico. They are usually pit bulls or shepherds with sharp teeth and menacing growls. If they were to break free from their tortured captivity their unleashed rage would rip me apart. Who can blame them? Whenever I see a dog in chains I am terrified and heart broken and helpless. All at the same time. I am not here to pass judgment on the ones who own these animals. They are lovely people and I know there is no intentional harm in the way they treat their dogs. It is just a different mind-set. As I entered one home recently the dog was chained so close to the house that his lunge stopped right at the front door. I walked in sideways to avoid his contact. Noticing my trepidation his owner told me, “You don’t need to worry about him. He’s too friendly” he lamented. “My last dog would have bit you” he said proudly. “So I don’t have to lock my doors. Keeps people from breaking in,” he said as if the answer was obvious. I understand the need for protection. Crime is a part of the landscape. Resources for fancy alarm systems are in short supply. Dogs can provide that role as protector. My daughter shared her news with me that she and her boyfriend had applied to the New York Bully Crew to foster pit bulls. At twenty-one her compassionate action touches me deeply. If she could, I know she would rescue every animal in the world. I was sharing my experiences with the dogs I see here and it didn’t make sense to her. If someone broke into your house how is your dog going to help you if he is chained up outside? Dogs can alert us to intruders and offer more help if they are in the house should someone break in. Many who have their dogs in chains don’t see this logic. How can we change what we cannot see? I cannot break every chain but if one person sees something different, if one dog is unleashed, a prayer is answered.